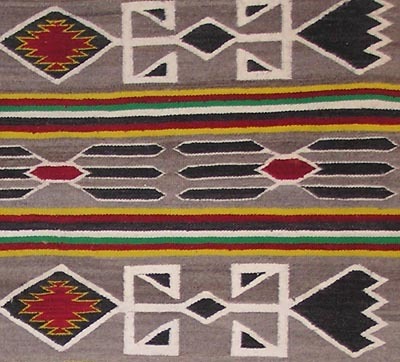 This handwoven Teec Nos Pos Navajo rug is one of our personal collection, was purchased at Teec Nos Pos Trading Post, Teec Nos Pos AZ in the early 1980s, and includes the Teec Nos Pos Navajo rug Certificate of Genuineness. 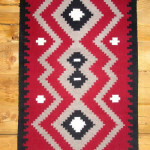 The weaver is Martha Nez. 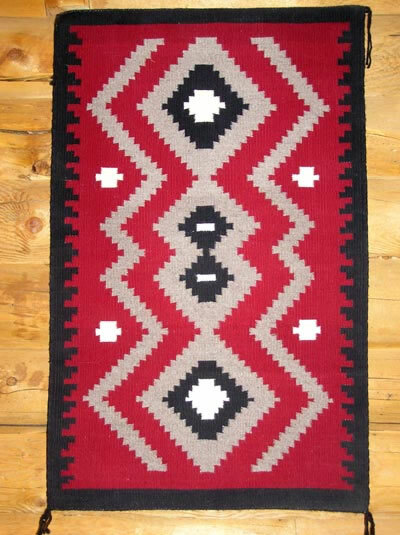 The rug stayed in safekeeping rolled until recently, and includes a functional but easily removable strip of cedar backing along the 46 in border, since it is currently displayed as a wall hanging. 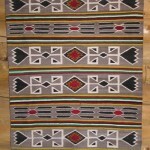 Teec Nos Pos was recognized as a rug style in the 1950’s. 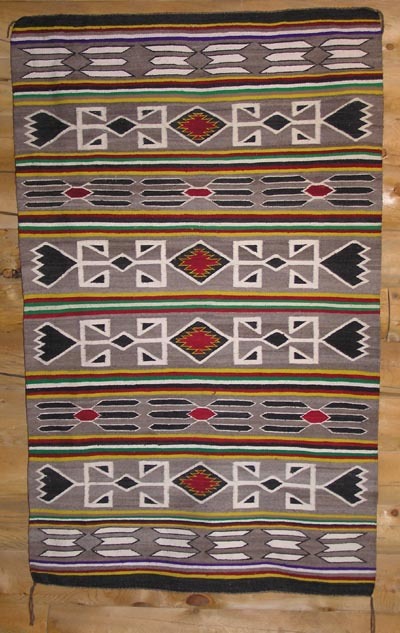 These Native American rugs have a Persian flamboyance, incorporating bright and bold yellow, green and red colored yarns. 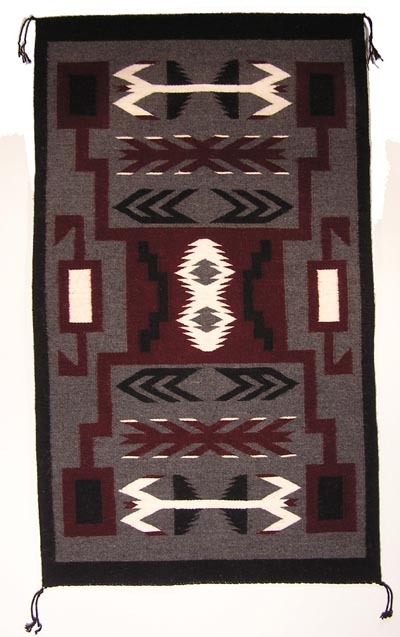 The interior designs of Teec Nos Pos Navajo Indian rugs are not standardized, ranging from a central lozenge design, to centers with flamboyant interlocking diamonds. 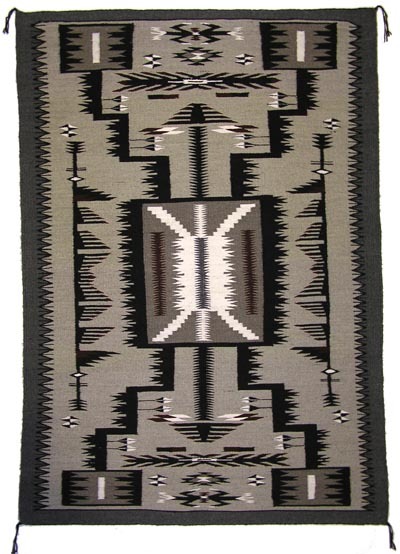 The Teec Nos Pos features a variety of unusual, often geometric motifs, forked zigzag lines, or stylized feathers and arrows that float against a neutral colored background. 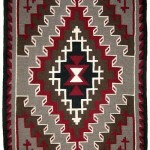 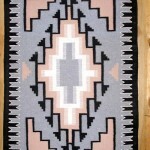 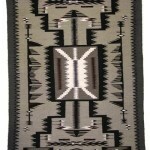 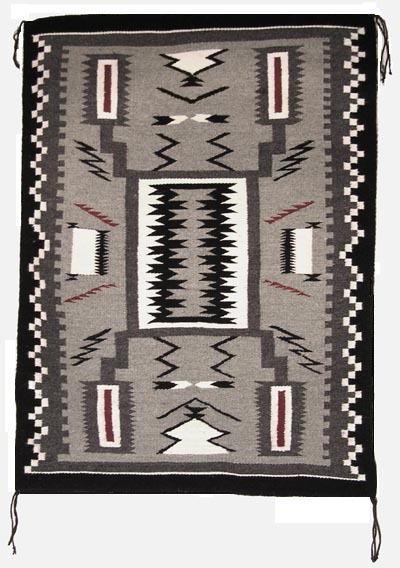 The trademark of the Teec Nos Pos Navajo Indian rugs are the outlining of design elements with a contrasting color.